American companies and American workers support each other every day. So when you’re looking for a heavyweight full front zip-up sweatshirt, let Bayside deliver an American-made heavyweight sweatshirt that’s ready to work. This Bayside Men’s BA900 ASH USA-Mad ... (see full details) (see specifications) #BA900-ASH. American companies and American workers support each other every day. 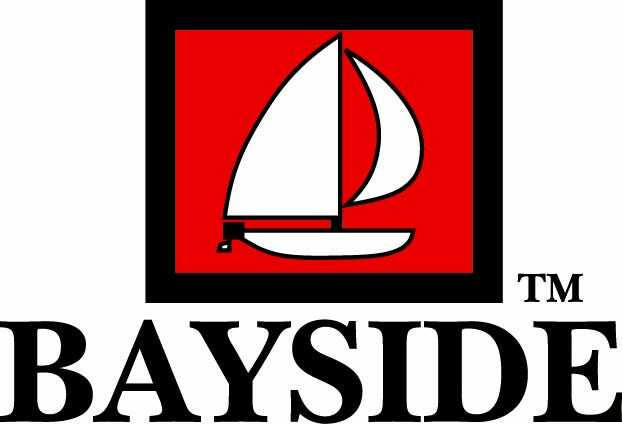 So when you’re looking for a heavyweight full front zip-up sweatshirt, let Bayside deliver an American-made heavyweight sweatshirt that’s ready to work. This Bayside Men’s BA900 ASH USA-Made Heavyweight Dark Ash Grey Full-Zip Hooded Sweatshirt is perfect for your employees, yourself, or as a gift for any working person in your life. Contact us about adding custom embroidery to personalize this gift and add an element of professionalism. This preshrunk, cotton blend full-zip men's sweatshirt is the perfect added layer for warmth when the temperature drops, and this is sure to work as hard as you do. This dark ash grey front zip Bayside sweatshirt is the perfect color to make an embroidered logo pop. A simple and professional advertisement or personalization makes this heavy hooded sweatshirt perfect for on or off of the job. The 80% preshrunk cotton 20% polyester blend fabric will not lose its shape with washing. The durable blend weighs in at 9.5 ounces for plenty of warmth while you work, run errands, or lounge around the house. The double-lined attached hood has twice the protection from the elements when the weather takes a turn. The matching drawstring allows you to tighten the hood to seal out the worst of the weather whenever you need it. Made to work, and made for work, this functional men's USA-made sweatshirt is not only strong enough to get the tough jobs done, but it also features durable and convenient front pockets. The large reach-in pockets are perfect for warming hands or keeping your important tools close at hand. The rib knit cuffs and waistband are reinforced with Lycra for a hold that is strong enough to keep dirt and debris out while providing a comfortable fit to seal in your body heat for warmth. Who doesn’t love a good, heavyweight sweatshirt? This Bayside Men’s BA900 ASH USA-Made Heavyweight Full-Zip Hooded Dark Ash Grey Sweatshirt from Working Person's Store is the ideal work hoodie for just about anyone. With durable preshrunk cotton and polyester fabric, a full front zipper and double-lined hood, this American-made sweatshirt is exactly what you need. Don’t forget the custom embroidery for an easy way to advertise! The dark ash grey color of this men’s sweatshirt is the perfect color to match any logo. This hoodie is one heck of a deal and a bargain for the low price of forty dollars. I have worn this hoodie for one fall and one spring season and I have been beyond pleased and satisfied with the quality. It did shrink a bit after the first wash and dry but after that it has been perfect and I highly recommend it. When I had to replace my gym hoodie I was doing a little looking and I found this one but wasn't sure because of the higher price tag then the others. After I received it the temperature was a bit lower then expected so I decided to wear it for a morning jog and I was more then pleased with how well it felt. Bayside Sweatshirts: Men's BA900 ASH USA-Made Heavyweight Dark Ash Grey Full-Zip Hooded Sweatshirt is being added to your cart.